Side is famous for many reasons, except from the beautiful beaches and the sun. 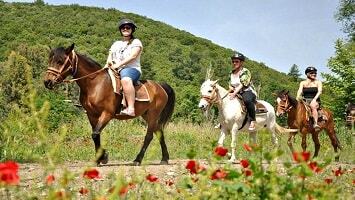 One among them is of course the outstanding natural surroundings of Taurus Mountains. With our Jeep Safari Tour you will get to know Side’s countryside, while admiring the spectacular scenery that Mountains form. Visit historical points of interest, swim in a river and experience the Turkish hospitality of small villages. Side Jeep Safari is a full-day tour full of adventure, exploration and excitement. Side Jeep Safari Tour starts in the morning, when a comfortable jeep picks you up from your hotel. The jeep will drive you towards Taurus Mountains and the off-road route is full of amazing views. The route is not only ideal for those who admire nature. 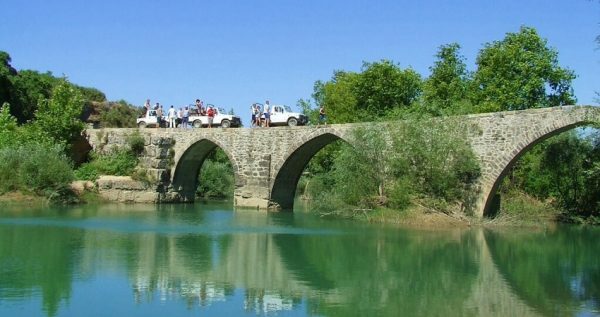 In fact, you will be passing through historical points of interest, such as the Naras Bridge which is 1800 years old and some ruins from the Roman Period. Make sure that you are bringing your camera as you will have the chance to snap photos of these sights. The excursion continues with a break at a small village. During your 30-minute break at a tea garden, you will have the opportunity to refresh yourself with drinks and try the traditional Turkish pancakes, called “gözleme”. The next stop will be made at the hill of Seyran, where you can enjoy stunning panoramic views over the lake and the Oymapınar Dam. Having snapped some amazing photographs of the lake, you will again continue your jeep safari exploration. What follows is a lunch break at a local restaurant next to the river. The lunch break has an approximate duration of one hour and thirty minutes. The meal includes chicken or meatballs, rice and salad. There is also a vegetarian menu for those who wish. After your lunch you can spend your time as you wish, you can swim in the river or just simply relax. 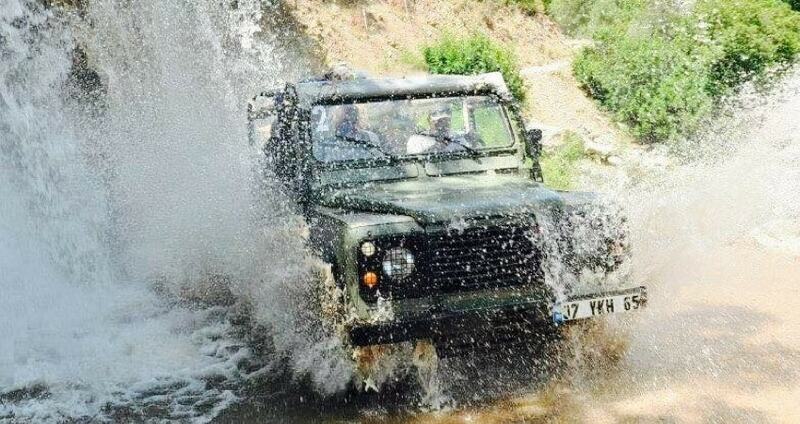 The next stops of your off-road experience will be the Zoo and the Manavgat Waterfall. Entrance in both places is at an extra cost but it surely worth it as you will be amazed by the natural beauty. Adventure continues as your jeep will be heading towards a small village. This last stop is a great opportunity to learn and experience the village lifestyle and get more information regarding the culture. After that, the jeep will continue on its way back. Side Jeep Safari excursion ends during the afternoon by the time you reach your hotel. Full of memories and great experiences, this off-road jeep exploration will surely be a long lasting memory. Swimsuits, Sunglasses, Towel, Sun Cream, Hat, Comfortable Shoes, Camera. 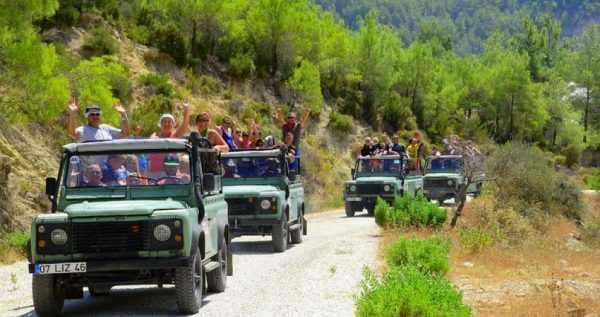 Side Jeep Safari is not suitable for guests with physical difficulties. If you are up to combine another adventure to your day, Side Jeep Safari & Rafting is the perfect option. Participate in a unique excursion that combines everything you need! Adventure and exploration is what Side Jeep Safari excursion offers to you. 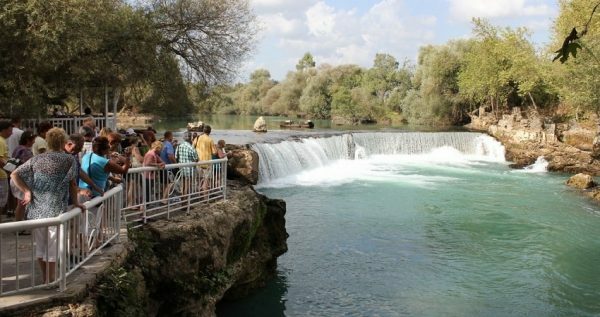 Admire the Turkish countryside, observe the natural beauties of Taurus Mountains, visit a waterfall and swim in a river. Follow the off-road route, enjoy driving in dusty and wet mountain roads and experience a real adventure with this full-day excursion. 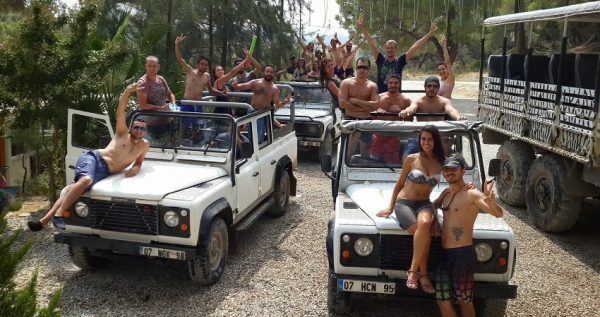 Side Jeep Safari excursion starts during the morning, when a Jeep will pick you up from your hotel and drive you towards Taurus Mountains. The off-road route promises to boost your adrenaline as you will be passing through some dusty and wet road. During the route, you can observe the landscape and the rich plantation that Taurus Mountains showcase. In addition, you will be passing through ruins of the Roman Period and from Naras Bridge which is 1800 years old. A small break follows at a tea garden. There you will have the opportunity to refresh yourself with drinks and try the traditional Turkish pancakes, called “gözleme”. After the 30-minute break at the tea garden, the off-road exploration continues towards the next stop. At the hill of Seyran, you will get the chance to enjoy spectacular panoramic views over the Oymapınar Dam and the lake. A lunch break follows for one hour and thirty minutes at a local restaurant next to the river. The meal includes chicken or meatballs, rice and salad. There is also a vegetarian menu for those who wish. After your meal, if you wish, you can enjoy swimming in the river. After the lunch, a stop at the Zoo will be made. Entrance to the facility comes at an extra cost. There, you will be impressed by the variety of animals that you are going to see and the staff will give you interesting information about the different species living in the zoo. The famous Waterfall of Manavgat is an additional stop and entrance is at an extra cost. The waterfall is a natural wonder for the area, as the waters fall into a beautiful emerald lake. The waterfall is surrounded by an amazing landscape. Make sure that you will be taking some stunning photos of the place. The last stop of Side Jeep Safari exploration will be at a small village. Get to know the Turkish hospitality and visit the village’s mosque in order to learn more about the culture and lifestyle. Side Jeep Safari excursion ends by the time you reach your hotel. 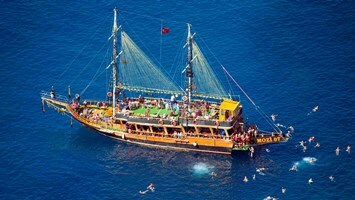 For sure this excursion will be a great memory as you will arrive at your hotel full of emotions and new experiences.